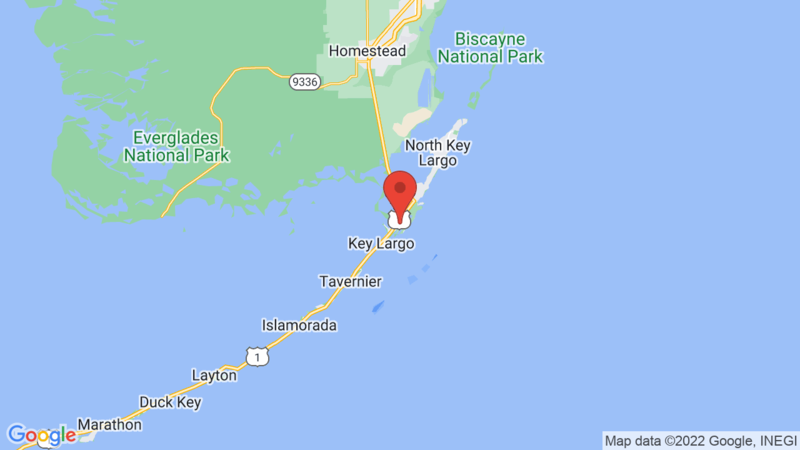 John Pennekamp State Park Campground has 47 single-family campsites and is located next to a beautiful beach on Key Largo. There are 39 sites with full hookups (30-50-110 amp). Campsites can accommodate tents, trailers and RVs 9up to 45 feet). The campground has drinking water, flush toilets, showers and dump station. There is also a coin operated washer and dryer at the main restroom. Each campsite also has a table. If you want a fire you’ll need to bring a portable/self-contained fire pit, or there’s a small group fire pit you can use (and meet your fellow camping neighbors). Campsites can accommodate up to 8 people. Check in time is 3:00pm and check out is 1:00pm. You can extend your stay up to an additional 14 nights if there is availability. John Pennekamp (Coral Reef) State Park is the first undersea park in the U.S. and the big attraction is the coral reefs and the abundance of marine life. It is the Visitors can skin dive, snorkel and scuba, or you can jump on a glass-bottom boat tour to check out the coral reef and colorful fish. There is also 50 miles of nautical mangrove wilderness trails to canoe, kayaking or paddle board. Boat/canoe rentals are available. Other outdoor recreation includes swimming, snorkeling, boating, canoeing, kayaking, fishing, picnicking, biking and hiking and wildlife viewing. And of course you can also sunbath and beach comb to your hearts content. You may also want to check out the Visitor CVenter. It has a 30,000-gallon saltwater aquarium and other exhibits. Other Florida State Parks located on the Florida Keys include Bahia Honda, Long Key State Park and Curry Hammock State Park. Visted John Pennekamp State Park Campground lately? We'd love to hear about your adventure. Did you find us useful? Did we forget something? Anything our community should know before heading out to John Pennekamp State Park?